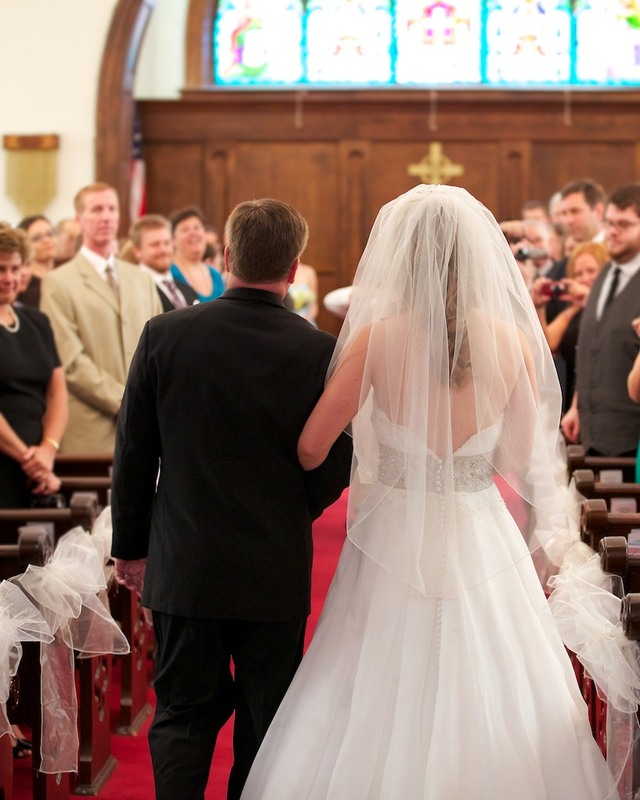 I had heard the veil should be a shade darker than your dress, so your dress doesn't look dirty. Well this was my exact problem! 2 weeks before the wedding I noticed my dress looked dirty when I put my veil on. Can you say "Ahhh!!" I had ordered my veil online from Simply Bridal. Great website, with an abundance of choices between one tier, two tier, or three tier, attached comb, length, and trim. 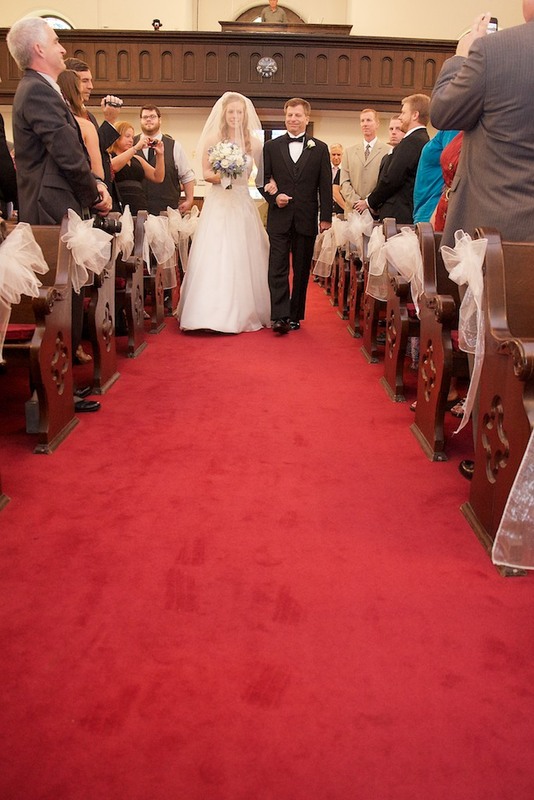 I had always wanted a two tier veil so I could cover my face as I walked down the aisle with my dad. Two tier, pencil edge, fingertip veil. I went with an ivory color since my dress was white. When the veil arrived in the mail, I was so excited! 30$ for a beautiful veil! What could go wrong? I tried it on and loved it. One thing I forgot. To try it on with the dress! I took it to my last dress fitting (2 weeks before my wedding) and my mom and I jaw's dropped. My dress looked dirty (the color, it wasn't really dirty people!) So we went on a mad search for a new veil. We couldn't order one online, we were afraid it wouldn't ship in time. We went to a few bridal shops such as David's Bridal and I couldn't cope with paying 130$ for a one tier veil. A week away and we still had this dilemma! Wear the wrong color veil.. pay 100$ or more for a veil you wear for 3 hours... While thinking of solutions we were looking up ways to dye the veil. Only problem is if it doesn't work, we would be back to square one. Remember using tea bags to weather your paper for history class? That's exactly what we did, but with the veil! Step 1: Boil water in a large pot. Add tea bags. The number of tea bags you will need depends on how much water you use and how dark you want to color to be. Step 2: Rinse the veil in water. Your veil should be wet before placing the veil in the tea water. Step 3: Try not to bunch or fold the veil, you don't want the veil to stain unevenly. Step 4: Once the tea water has cooled, place it in a tub or Tupperware and let the veil submerge. Let the veil soak for about 10 minutes. Step 6: Hang the veil to air dry. 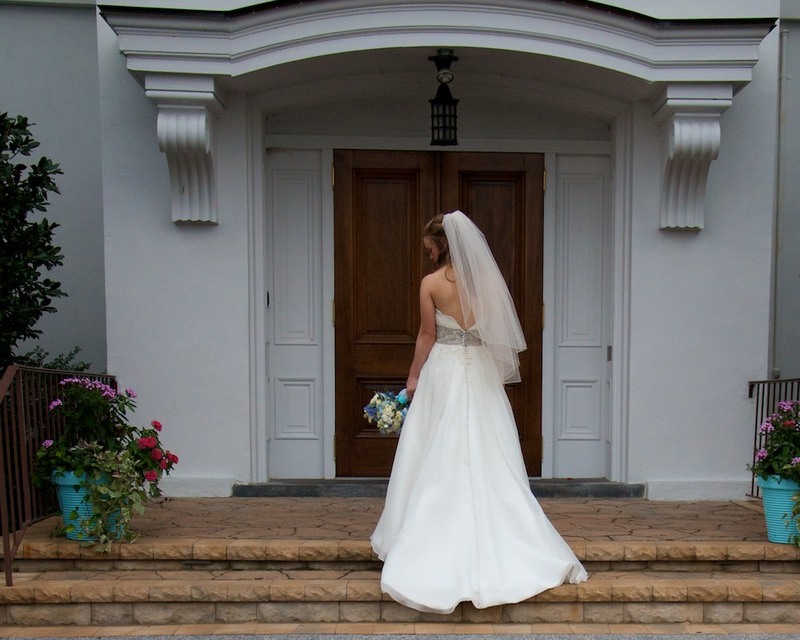 Make sure the veil isn't bunched or folded. I hung it over the shower curtain rod. I checked on it every couple minutes and changed the positioning of the veil so it dried without blotching. The whole time we did this we were super nervous, but honestly what did we have to lose? 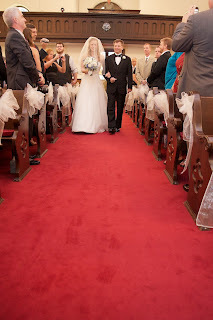 We made a few jokes "what if I am walking down the aisle and the veil starts to drip tea!?" My Aunt Tania says "It's okay I will just follow you around all day with a glass and squeeze the tea out!" 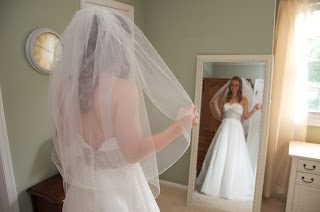 Once the veil dried we held it up against the dress.. held our breath and then let out a sigh! It worked! The veil looked great with the dress! You don't need to spend a fortune on your veil. The tradition of the veil is to be worn as protection from evil spirits, but now it is a beautiful accessory that completes your bridal look. Find one that complements your dress. Don't forget to bring it to your hair trial and when you get your hair done on your wedding day. Have the hair stylist show your mom, MOH or a bridesmaid how to take the comb out without messing your hair up. 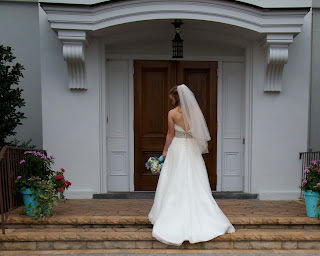 I have been to 2 weddings where the veil came out during their ceremony. One from a hug and one from the wind. If this happens, just go with it! It's better to go with it, then to get upset. Gotta' love a laid back beautiful bride! Have fun finding your perfect bridal veil! thank you for your post, it is very helpful. My question is what kind of tea did you use? Hi Jennifer, Sorry for not getting back to you sooner. I believe it was just lipton tea. Nothing special!